We’re pleased to announce Microthemer‘s new Google Fonts browser, which makes searching for and applying Google Fonts to WordPress much easier. 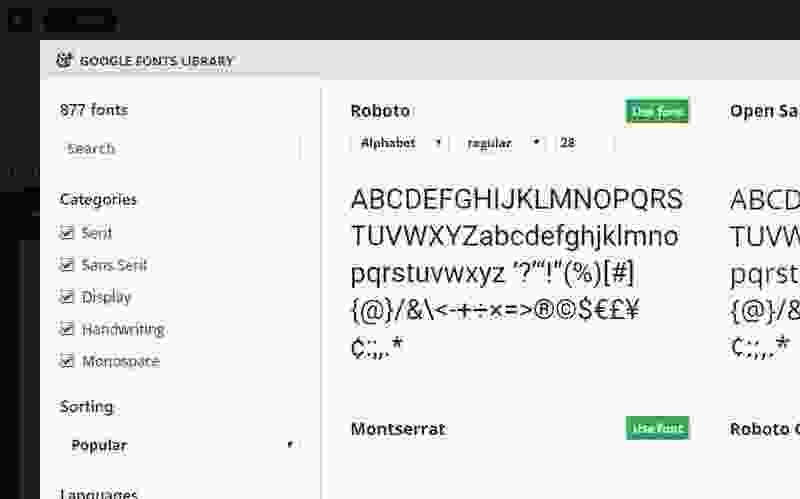 The new font filtering options match many of those provided by Google, including search, category, and language filters. See how Microthemer supports non-latin language subsets like Greek and Hebrew. We would love to hear your general thoughts on the new Google Fonts browser. Please share any feedback via the forum.